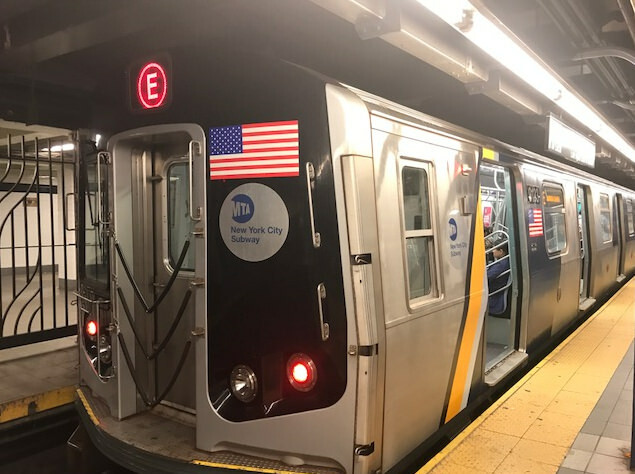 Public transport agency MTA has announced that the first refurbished trainsets have entered passenger service on the E Line in New York City. Master controllers, which are responsible for braking and acceleration, have been replaced and seats have been removed from the end of each carriage to increase the capacity of each trainset by between 80 and 100 passengers. Master controllers had been identified as one of the leading causes of R-160 failures. The project is part of a subway action plan for a 100-carriage pilot to increase capacity and enhance the performance reliability of the R160 fleet. The plan is designed to improve the subway system and lay the foundations for modernising the New York City Subway. Interior and exterior wrapping of the trains for customers to identify pilot trains, as well as car exterior indicators to identify the ones which have the modified seating arrangement. MTA chairman Joseph Lhota said: “Providing a safe and reliable ride is what our customers demand and what the MTA is determined to deliver through our Subway Action Plan. “This pilot goes directly to the heart of that goal by attacking a significant cause of failures on these cars and making a fast, targeted improvement. The trainsets were originally built by Alstom and Kawasaki.